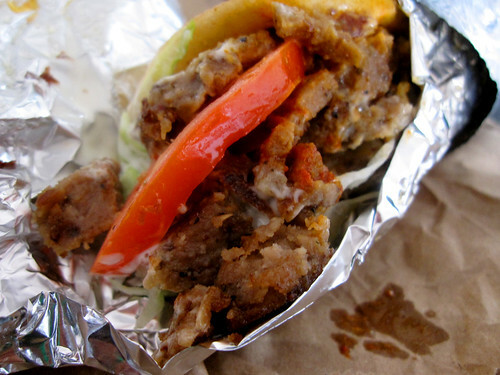 M. had errands this morning so I ran out alone to grab a quick gyro. The smell had been tempting me all morning. Which would have been an awesome idea except as I settled into a skype call with my sister in Berlin, bits of grilled deliciousness, covered in hot sauce, fell out of the stuffed pita shell, onto the desk, the floor and yes my white linen pants. At least it was a really good gyro.